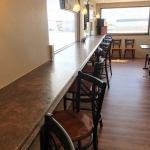 Ellsworth AFB in western South Dakota got a coffee shop in summer 2015. 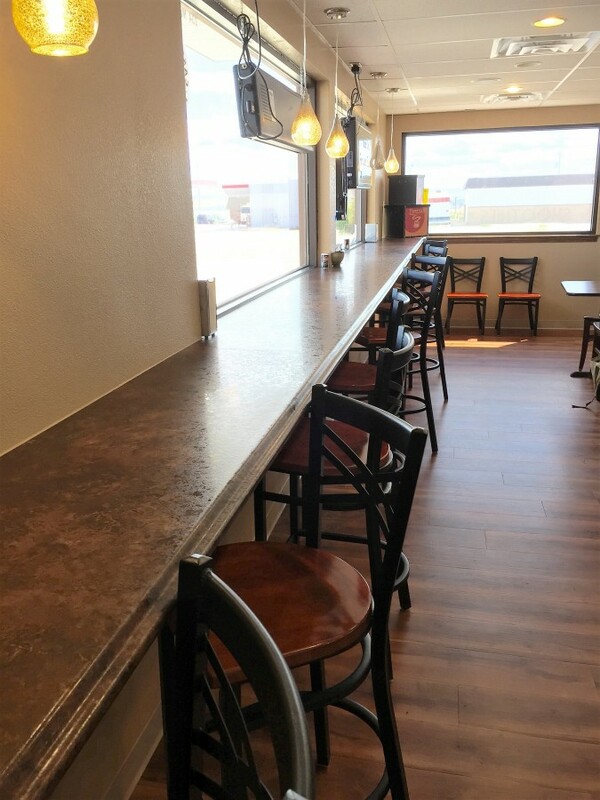 Our team at Creative Surfaces of Black Hills helps design and build custom coffee shop cabinetry specifically to meet their needs. 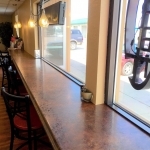 On the front counter/POS station we used Formica “Glamour Cherry” plastic laminate on cabinet exteriors with HiMacs “Birch Bark” solid surface countertops. The back cabinets and drive-thru window cabinets feature Formica “Glamour Cherry” with Pionite “Rock of Ages” plastic laminate countertops. 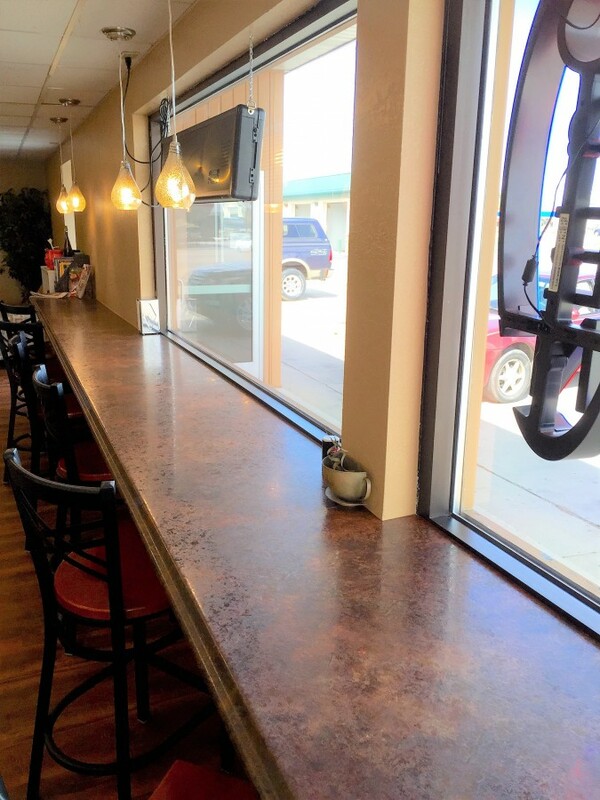 The front window countertops we created for customers to enjoy a cup of morning joe and read the local news or visit with friends. These are made of Pionite “Theodore” plastic laminate and mounted to the walls. Driving out west? Don’t forget to swing through Gizzi’s and grab yourself one of their signature coffees – Cinnamon Twist is a popular choice.